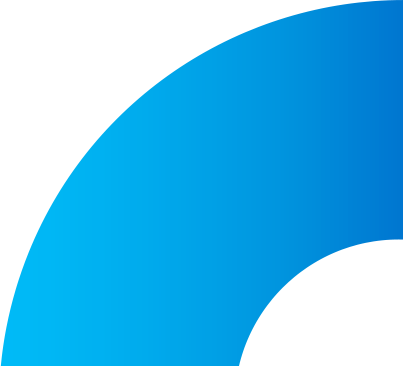 Our commerce platform addresses the complex technical and business requirements of B2B-driven organizations. 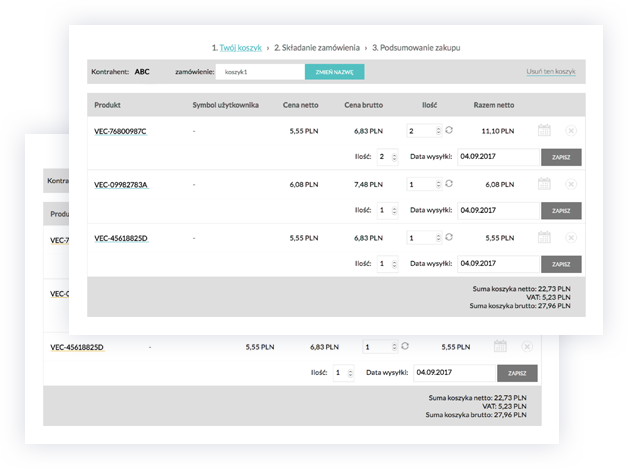 We give you the ability to deliver personalized purchase conditions for each of your customers, without constraining your business dynamics. By streamlining and optimizing your operations and providing a future-proof platform, we keep your business agile and ready for future challenges for a long time to come. Many business clients have trusted us, implementing dedicated sales platforms and thus increasing the competitive advantage of their companies. 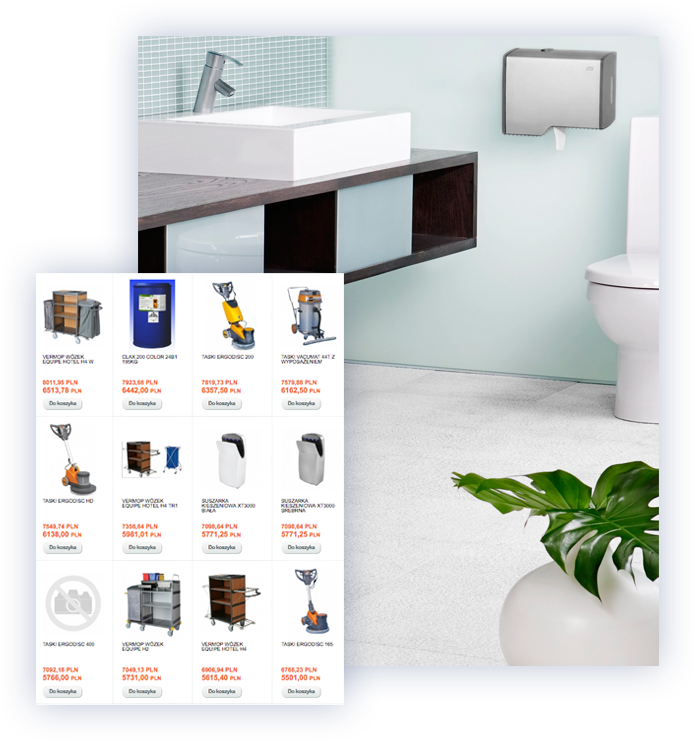 Distributor of hygiene systems and professional chemicals for the B2B market. The clients are public institutions, mechanical and food industry, medical, education and administration industry, catering and hotel sector (HoReCa), as well as private companies. 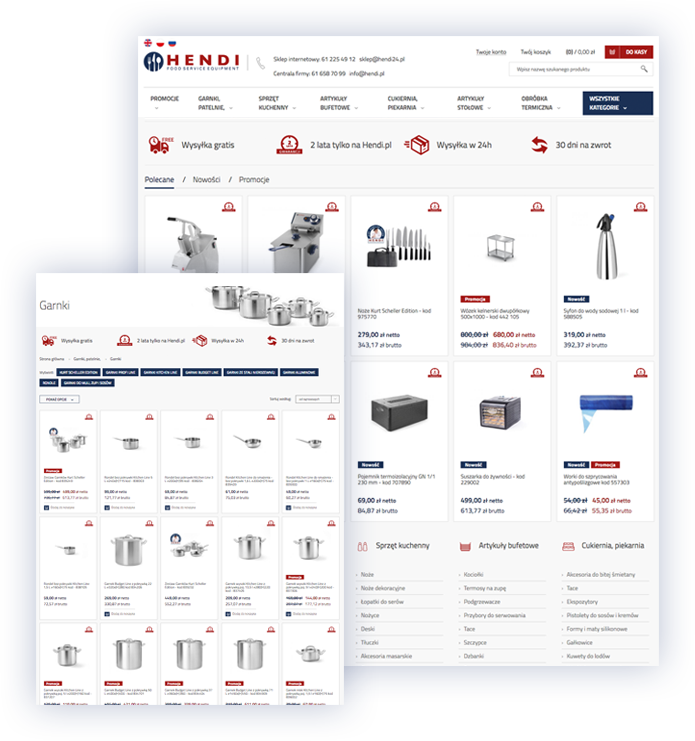 Hendi Polska is a company that is part of the international Hendi group, which for 70 years has specialized in the production and trade of professional catering equipment. Herbamedicus specializes in the production of natural medicine goods. The offer is addressed both to individual customers and specialized recipients - pharmacies, herbal stores and drugstores located throughout the country.